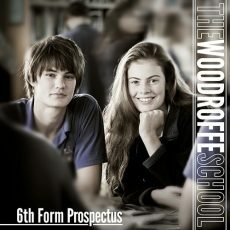 At the Woodroffe we have a dedicated 6th Form team who support students during their time here, led by the Head of 6th Form and the 6th Form assistants. Pastoral care and academic mentoring is provided by 6th Form tutors who meet their 6th Form tutor group every morning during registration and offer guidance. As well as the tutors, we have a dedicated 6th Form Librarian who provides extensive support during the UCAS process and with study skills, as well as a member of staff who is our designated Oxbridge mentor and helps prepare students with their UCAS applications and interviews. As well as the student’s individual learning plan based on their chosen subjects, 6th Formers have a weekly Core session led by the Head of 6th and we welcome a broad range of speakers to the school to talk with the students. Guest speakers over the past year alone have ranged from members of the armed forces and emergency services, Lawyers, Doctors, Judges, representatives from universities and apprenticeships to George Parker, Political Editor of the Financial Times. The 6th Formers also have a weekly hour of PE where they can choose to pursue a particular sport either inside or outside of the school. In Year 13 there is also an additional weekly hour lesson timetabled with the Form Tutor to have support with UCAS, followed by a range of other workshops including: survival cooking, personal finance, living and travelling abroad and health and wellbeing.